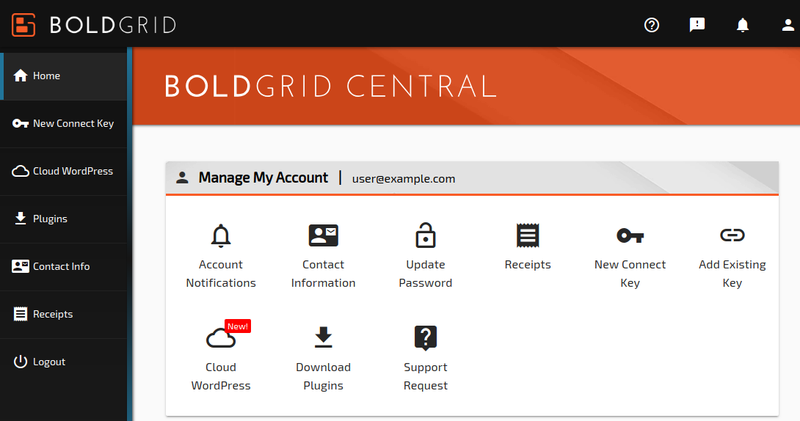 One of the first steps when using Cloud WordPress is accessing BoldGrid Central. From there you can create Cloud WordPress sites, update your contact information, purchase new Connect Keys, and download Plugins. You will then be logged into BoldGrid Central! Congratulations, now you know how to access your BoldGrid Central account! Now, you can begin building your Cloud WordPress site, or update your account information.